I really do love tea – it’s my go to drink come rain or shine. Whether I’m sitting at my desk or thousands of miles away from home, I’m hapiest with a mug of tea in my hand and, ideally, a great friend to share it with. 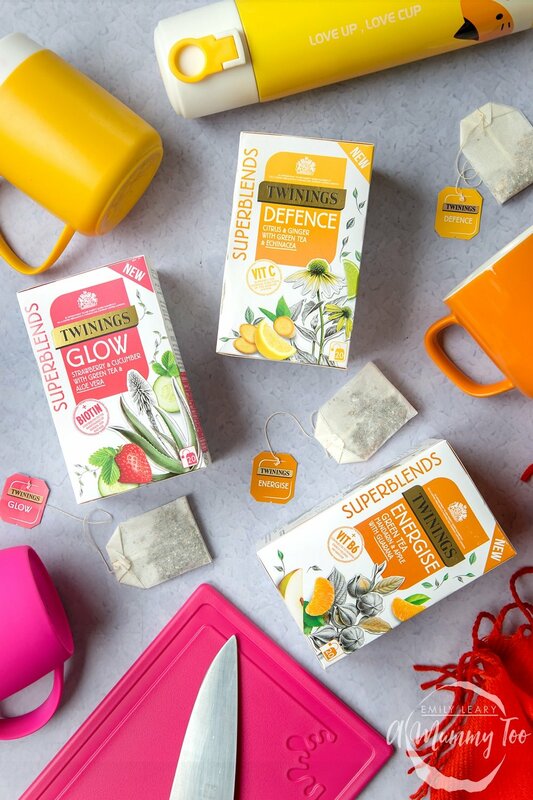 Twinings having just launched Superblends, a new range of teas that are not just super tasty but have been specially created to help you feel great. They’re green teas and infusions that have been been expertly blended with botanicals, natural fruit flavours and added vitamins and minerals – they’re fab. To celebrate the launch, Twinings asked me which three friends really spring to mind when I hear the phrase “Here For You”, and then challenged me to get out and celebrate them in a series of interviews. So, over the next few weeks, I’ll be interviewing three different people in my life who continue to be here for me in different ways. They’re wise, kind, affirming, inspiring friends who make up an important part of my life and who I’m so thankful for. 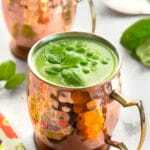 The Defence Superblend seemed the perfect accompaniment for my first chat with Becky, a close friend and professional life coach who always has my back and is always on hand to offer amazing advice. Here’s the video! I’m here today with my amazing friend Becky to talk about what a great friend she is. Becky always senses if I’m going through a tough time and has my back with positive words. So we’re here today to talk about trolls, negativity, positivity and how kindness and fairness is always the best defence. So Becky tell everybody a little bit about yourself. I live near you, Emily, which is just fantastic, here in Nottingham. And I’m a blogger, I’ve got two young children who I absolutely adore so I get lots of time at home with them, and spend the rest of my time writing. And you have a background in helping people who are going through a tough time. I do. I worked as a social worker for a number of years for children with learning difficulties. And then I retrained as a psychotherapist, I worked as a bereavement counsellor for a little while and had my own private practice. And last year I retrained as a life coach, so lots of experience helping people. And I think it just comes naturally to you, doesn’t it? I think the first time we met I think we were maybe in a bar with other friends from the area. We were all sitting down and I think I ended up telling you my life story! People do that on the bus too. They do! When I was a little girl my grandma needed a lot of support. She lived in her own home but she was totally paralysed, so right from being very little or nursing home but she has turned it right from being very little our days were spent caring for other people so it became just part of what we did really. And you always seem to know that the best thing to say when a friend is feeling a bit down. So what would you say, if you have a friend and they seem to be a bit down or are going through a tough time, what’s a good way to help them? I think firstly, is to really listen to them. Let them tell their story and listen to their feelings and let them know you’ve heard them. Because people want to be heard I think more than anything – that can be the most helpful thing if someone’s interested and listening to your story. And then help them work out what they want to do about it, or can or want to do anything about it. But definitely the first bit is listening. I know we’re both big defenders of fairness and when we stop people being unkind or a bit unfair then we tend to step it. So what I your strategies for defending people in a way that’s positive and that’s going to turn the situation around. Well I think it’s really important that you keep in mind that rather than attacking the person that’s being unkind, you want to educate them. And I think that if you go from that perspective, then it’s important to be polite to the person that perhaps you’re challenging and that it’s important to be respectful to them because you want the conversation to go that way. You want them to come out of it feeling that you weren’t attacking them but you were perhaps teaching them something and that they respect you too. So, yeah, I think channel respect towards that person. But also I think it’s very important that even if you know that you’re not going to be very popular making this challenge that you do it anyway because if it’s the right thing to do, it’s the right thing to do. If you think, “you know that’s really out of order and you’re hurting someone here”, you’ve just got to be brave and step up and do it. But try and do it with politeness and respect so that you’re modelling how you want them to behave back to you. Yeah, I think absolutely! And if it’s an issue that’s been discussed, say, online that’s quite general. So it’s about how a certain group people do things, how mums do things, for every noisy voice like ours or the person with the differing opinions, there’ll be lots of people just reading silently and maybe feeling attacked. So this sort of speaking for them as well, aren’t you? So, as bloggers, we’ve put ourselves out there for the world to judge a little bit. Have you experienced troll behaviour a little bit? A little bit. Not a great deal, because I don’t tend to blog about things that are very personal. I think when people blog about stuff that’s personal they get more of that. But occasionally. I’ve had a recipe criticised. And I blogged about some shoes and somebody wrote a very long comment about the factory the shoes were made in. And actually, although it was quite direct and I felt quite attacked, it was actually quite educational and in a way I was quite glad that they made that comment. The rest not so much, but I did retry the recipe and they were right it didn’t quite work, I’d written some of the amounts wrong! So it’s not always justified, but it’s the way it’s done, isn’ t it? I did once however share a post on a new credit card – I write about budgeting – and I got absolutely slammed on Twitter by someone writing about credit card. Whereas actually I thought it a very ethical, good credit card. So we got into a bit of a debate. I didn’t really enjoy that. It felt uncomfortable. Yeah. I think it can be hard to defend yourself in a calm manner when people continue to be quite aggressive. How do you draw the line and think, okay the conversation isn’t going in a way where I feel like I can turn it around so I’m going to calmly step away? Yes, in the end I said, “I’ve really enjoy discussing this with you and I hope I’ve made my point. But I do have to go, I’ve got an appointment!” Which wasn’t completely true but I felt I wasn’t getting any further, and actually I had nothing left to say. So actually it was a good way out rather than, “aaaagh!”, which is what I wanted to say. I kept my dignity! Yeah! You make your point and you stand up for fairness and reason but ultimately it’s not about winning. No. Or going on and on and on because something you can’t convince the other person that you’re right. But it’s just important they’ve heard you, perhaps, and you’ve heard them, I think. So yeah, I told a little fib! And if someone is facing bullying, maybe at school or at work or online and they’re not sure what to do about it, what would be the best steps they can take to defend themselves? Well the first step would absolutely be to find someone they trust and tell them. They believe that 80% of all bullying that’s reported actually stops. Yeah, incredible – a huge amount. But often people don’t say about bullying because they don’t want to get somebody else in trouble, they’re a bit embarrassed that it’s happened to them, they feel self-conscious and they don’t want to cause a scene. However, if they don’t tell, there’s an 80% it won’t stop, so the odds are really in your favor that this unpleasant behaviour will stop. So that would be my first step. And then my second step would be, is that person cannot and does not help you, you tell someone else. You get their help, because you’re important and you’re worth it and if you saw a friend in that position, you’d want to help, right? So you need to treat yourself like you would a good friend and be there for yourself, would be there yourself. That’s really important. When people are having difficult conversations, I tend to notice that they sort of mix up defending their points with defending themselves and that seems to be when personal insults and things can come in. So what’s a good way to pull the conversation back to the issues rather than allowing it to get personal? That’s a big question, isn’t it! You see it happen all the time – people get really hurt and upset and feel that they’re being attacked personally. I think if you’re the person doing the challenging, perhaps don’t use that person’s name, speak in general terms. Talk about how it makes other people feel – rather than saying, “You did this..” say, “This can make people feel such and such”. So be more general thing you did there you know make people feel such that be more generally your speech too so that they don’t individualize it. If it’s you defending your point, I think it’s really important to focus on the issue in hand and realise you’re not being attacked, your point is being attacked, or your article, or what you presented is what people are challenging. And be open minded and be prepared to perhaps change your own views because we aren’t always right. I think people really struggle with that. We like to think we are always right and we’re not so sometimes it can be really educational to listen to other people. So I think, keep an open mind. I think that’s an excellent point. I also think if you write something, perhaps read it over before you send it. Not just for your typos, but to check the emotion level that’s in what you’ve written. Because in most communication is body language and tone – of course you don’t have that on line, so your words are absolutely critical, aren’t they? So rereading what you’ve written I think can really help. Yeah and I think when you’re trying to communicate and you’re passionate about something, it can be quite tempting to put a lot of emotive language in but that can distract from what you’re trying to communicate. So, for example, when writing to the school for my son, I cut out all the emotional language and just try to focus on the facts, and what we were concerned about. And I think it makes a big difference because then you get heard rather than being hidden by emotions. Absolutely. And if you can also suggest a way forward, people then feel that you do want to work with them, you’re not just attacking them. So if you say, “perhaps we could meet and discuss this”, or “can you think of a way we could move forward?” or make a suggestion with that, that can also help, I think – being positive and proactive rather than totally negative. A huge thanks to Becky for her words of wisdom, and do check out the full Superblends range for more fantastic flavours. Is there anyone who has been #HereForYou recently? Let me know in the comments section who you appreciate. Hello, I am also a tea lover! I like your pics. It looks so natural and authentic. Great post. Thank you so much! These Twining Superblends are great and it was lovely to have the opportunity for a chat and a cuppa with my very good friend Becky. You are a natural and come across so well on camera. I love these teas, I am actually drinking a cup of the Energise one right now and the Sleep ones are lovely and not just for bedtime! Thank you so much! I really love this range of Twinings Superblends tea and it’s lovely to hear that you’re enjoying them too! Yes, there are some super flavours and types of tea and they help you to feel great too! I love twinnings! I didn’t know they have such great concoction now. Hope they will be available in Singapore soon! Thanks for sharing the words of advice from Becky! I love Twinings too and their new range of Superblends tea is full of natural flavours and super ingredients! I was so happy to be given the opportunity to chat over a delicious cuppa with my great and inspirational friend Becky! Absolutely! Kindness is definitely the best defence! What a beautiful post. I am a tea-drinker and love trying new kind of teas. This range sounds so good. The feature is so amazing, the pictures look amazing. Everything seems much better over a cup of tea :) Becky sounds like a really sweet person. Thank you! Becky is an amazing friend and I couldn’t wait to have a chat over a delicious cuppa!. This new range of Twinings Superblends green teas and infusions is full of natural flavours and super ingredients. Which do you think you might try first? Thank you so much! Becky is such an amazing and inspirational friend who is always there for me and you’re absolutely right, there’s nothing quite like a chat over a delicious cuppa! Loved reading the post. Personally I love drinking Twinnings and their green tea blend is one of my favourite. This interview with Becky was so heartwarming too especially when she shared her experience about online trolling. You are lucky to have her as a friend. Thank you! I love this new range of Superblends teas. 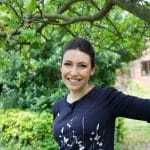 I was very excited about having the opportunity to take part in the “Here for You” challenge and was so happy when my wonderful friend Becky agreed to me my first interviewee. I’m indeed thankful for having her in my life! You are truly blessed with such a lovely friend. I enjoyed ‘eavesdropping” on your conversation. On a side note: I love twinnings and i hope they reveal these varieties near me soon! I need to make a cup of tea now—thank you! Thank you! Yes, I’m so grateful to Becky for being such a great and inspirational friend and I’m really pleased that you enjoyed the interview. It was lovely to have the opportunity for a chat with her over a delicious cup of Twinings tea! Becky sounds like a wonderful person to be around, I can see why you chose her as a favourite friend. I really like this idea of having a tea and chat with people who mean so much to you. Looking forward to the next instalments. Becky is indeed a wonderful and inspirational friend who is always there for me. It was great to be able to spend some time with her and chat over over a delicious cup of Twinings tea! I’m not the biggest fan of tea, but heard that there are so many flavourings which is great. This new range of Superblends tea is fab and definitely worth a try even if you’re not normally a great fan of tea as such! That is such a great feature. Being kind is really indeed important. and I really love the idea of combining a good cuppa with an interview. Great job!! Thank you! It was so exciting to be given this opportunity to celebrate my friendship with three of my great friends and to have a chat with them over a cup of delicious tea! Thank you so much! It’s a great opportunity to be given this chance to celebrate the launch of this great range of Superblends tea and to combine it with a series of interviews with 3 friends who are such an important part of my life! The teas look great. I love anything that has a natural edge to it having trained myself as a medical herbalist. Sounds like you had fun on this project. This new range of Twinings Superblends tea is fab and I was very excited to meet the “Here for You” challenge and celebrate 3 of my friends who are so kind, inspirational and important in my life! I love the way how you have conducted this interview with mugs of tea and lovely conversation! I’m not a tea person but my mom is going to love this! Thanks for introducing your friend Becky to us. She sounds to have a dynamic persona and quite inspirational indeed! Thank you! I really enjoyed interviewing Becky whilst drinking a delicious cuppa. She is indeed an inspiration and is always there for me! I hope your mum enjoys some of these delicious Superblends green teas and infusions as much as I do! This is such a lovely post, I love that you’ve done it with your friend over such a wonderful but simple thing like tea – a good cup of tea is great for bringing friends together! I haven’t tried these yet but I love the sound of them! Thank you so much. I was delighted to be involved with the “Here for You” challenge. There’s nothing like a good chat and a delicious cup of tea with a valued friend! This new range of Superblends tea is fab – enjoy! I am not really a tea person but i would love to try this Twinings brand. You both look so cute. Thank you! Even if you’re not really a great fan of tea I think you may well enjoy this new range of Superblends teas. There are lots of different flavours and types of tea and they are really fab! I love Twinings tea! I’ve not heard of the Defence Blends though, so I’ll have to give those a try! I love this brand of tea too. There are several different flavours and types of tea to choose from the new Superblends range. Defence was the one that we chose for the first interview with my good friend Becky, it’s a delicious blend of flavours and also has added vitamin C – perfect for any time of day! I love that you are just sitting outside having a brew! We love twinnings and they always have some amazing flavours. Totally agree that kindness should be the way forward. Thank you! 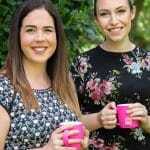 It was lovely to have the opportunity to have a chat and a cuppa with my great friend Becky on the first of 3 interviews to celebrate the launch of the delicious new Twinings Superblends range and combine it with phrase “Here for You”. There’s nothing like a good cup of tea and a great and inspirational friend to share it with! I feel terrible for everyone who experienced trolling. Some say it’s just words you should ignore but it’s easier said than done. That said, Becky has a lot of wonderful thoughts worth sharing and it’s definitely nice to know and share a cup with her. Yes, trolling can be so damaging and Becky has some very inspirational and wise advice for us all! It was lovely to be given the opportunity to share our thoughts over a delicious cuppa in this first of a series of 3 interviews. I couldn’t agree more. Kindness is definitely is the best weapon and it works perfectly. I also love twinings tea! Yes, kindness, positivity, politeness and respect are the definitely the best defences! I’ve really been loving different teas lately. My favourite is lemon meringue, blueberry & Blackcurrant and apple crumble. I much prefer them to traditional teas. I love tea – it’s definitely my favourite drink. The flavours you mention sound great. Have you tried any of the new range of Superblends tea yet? They are fab! Absolutely. 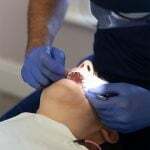 This was such an exciting challenge for me! Becky is truly a great friend and always there for me. We really enjoyed our chat over a delicious cup of tea! I absolutely love this post. I’m also a big fan of these new teas from twinings. I’ve been drinking them a lot! Thank you! I really enjoyed the interview with my great and inspirational friend Becky. It’s good to hear that you already love this new range of teas. My mum is an avid coffee drinker and I’ve managed to convert her! I love Twinings new range of teas – there are so many delicious blends to choose from! Yes, Becky and I are both fierce defenders of fairness in a positive and polite way! It really does work! I am all about kindness, paying it forward, and trying to set a good example for my son. I love this post and it is very empowering. Thank you so much! I totally agree about being a good example for your son – parents are such important role models. I really enjoyed the interview with Becky over a cup of Defence Superblends tea – perfect at any time of day! I wish I liked tea, I need to try some of these other flavours as I can only have peppermint at the moment! There is such a wide choice of types and flavours in this new Twinings Superblends range. I hope that you find one (or more) that you really enjoy! Thank you! The Defence Superblend was the perfect accompaniment for my interview with my lovely friend Becky who as always, was an inspiration! What a lovely feature, I love the idea of combining a good cuppa with an interview, a really nice touch. Thank you! I was excited to be given such a great opportunity to enjoy a delicious cuppa with Becky, the first of my valued friends in this series of 3 interviews.